As part of the Bookcrossing race to a million. Another Kingsolver gathering of essays, even more passionate than Hingh Tide in Tucson. 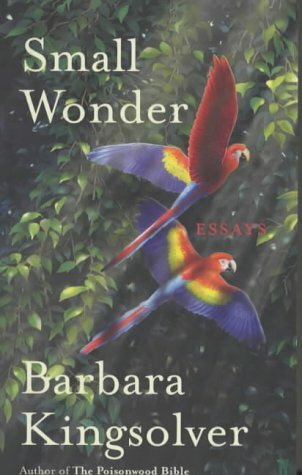 I learnt a lot from Barbara. Reading them gives me strong confirmation of my own beliefs. I read them again and boy, is she ever right. Reading her esaays does good to me. Every time again. "The only books that influence are those for which we are ready, and which have gone a little farther down our particular path than we have yet to go ourselves."